This move follows a leaked Foreign Office memo which revealed that the Prime Minister, Theresa May, was planning to ignore a recommendation to hold a consultation and instead have only a “light-touch” review of the policy. This will be the first public review of the guidance since its publication in 2010. The Consultation is being overseen by the Investigatory Powers Commissioner’s Office (IPCO), the regulator for the intelligence services. It comes shortly after a report by Parliament’s Intelligence and Security Committee revealed systemic UK involvement in mistreatment and just three months after the Prime Minister issued an unprecedented apology to former Libyan dissident Abdul Hakim Belhaj and his wife Fatima Boudchar over the Government’s role in their torture and rendition. Last December, the Intelligence Services Commissioner revealed that in a single year GCHQ had wrongly failed to apply the Guidance in a total of 35 cases, and that in 8 of those cases the Guidance would have blocked information being shared as the risk of torture and mistreatment was too great. “This review is sorely needed and long overdue. 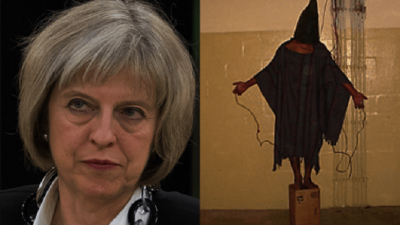 At a time when the US President has endorsed the use of ‘waterboarding and a hell of a lot worse’, the UK should stand firm against any involvement in torture. Unfortunately, the current torture policy is so riddled with loopholes that it is simply not fit for purpose.